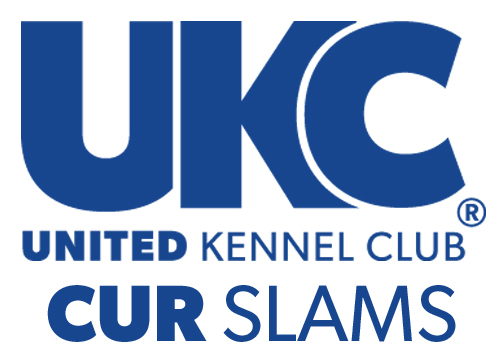 Slam Events are available to all UKC approved clubs at the limit of three per year. Clubs may designate any three of their scheduled dates for a Slam Event. Simply note the Slam designation portion on the Event Confirmation form. A regular bench show may be held in conjunction with a Slam Event. View The Cur Slam Breakdown. Entry Fees: Clubs have the option of a $20, $30, or $50 entry fee (unless otherwise approved). License and Recording Fees: Slam Events require a $25 UKC Hunt License fee. Recording fees of $2 per dog must be included with the Event Report mailed to UKC. Eligibility for Events: Open to all UKC Registered Curs. Rules for Running the Events: UKC Cur Hunt Honor Rules, as they apply to UKC Squirrel Champions and Grand Squirrel Champions in effect for the year the event is run, with special revisions as required. Hunting Time: The early round cast at any event will be two hours in duration, unless otherwise approved by UKC. A late round cast will be one hour in duration. Judges: One Hunting Judge per cast in the preliminary round. The late round (Final Cast) will have one (1) or two (2) Non-hunting Judges (club’s discretion). Prize money: 55% of the entry fee is paid to the event winners. First, all first round plus point cast winners are refunded/awarded amount of entry fee. Remaining prize money is awarded to those dogs in the final cast. Prize money will be paid by the host club in accordance with the Slam Prize Breakdown Form (provided in the event packet) after the event. The distribution of Slam prize money is strictly the responsibility of the host club and not the responsibility of UKC. UKC reserves the right to set prize amounts and control distribution of prize money at its sole judgment and discretion. Clubs may offer an “added” purse to be divided among the final cast. Final Cast: The top three (3) cast winners with a total score of plus points will advance to final round. Dogs in the final cast will be placed according to score of final round, including up to 300 minus. If tie cannot be broken, dogs remaining tied will split prize money. If all dogs in Final Cast scratch, purse will be divided equally among all members of the cast. See Slam Prize Breakdown Form (provided in the event packet) for other scratched dog breakdowns. Splitting Prize Money: Slam prize money may only be split if majority of final cast agrees to do so. Otherwise, cast must hunt late round to determine prize money distribution. Championship Points: All Registered dogs making it to the final cast will receive a first-place win. All Champions making it to the final cast will receive a Champion win. No additional championship points, or wins, will be awarded to the final cast winner. No Plus Point Cast Winners: Any round prior to the Final Round that eliminates all competition (no plus point cast winners) will be considered the Final Round and prize money will be divided equally between all dogs who participated in that round. No Championship points or wins will be awarded in the event that there are no plus point cast winners in the first round.